Performance management company 15Five has announced an $8.2 million Series A round of funding led by Origin Ventures. New Ground Ventures, Chaifetz Group, LAUNCH Fund, and Matrix Partners participated in this round as well. With this round of funding, 15Five raised a total of $11.9 million since launching. 15Five plans to use the funding to support global growth initiatives such as accelerating innovation and scaling sales, marketing, and product teams. Specifically, the company is looking to increase its employee headcount by over 100% in 2019. As of right now, the company has 34 employees and the company is looking to hire more than 100 in 2019. 15Five’s customers include HubSpot, Indeed, Spotify, and TechStyle. And 15Five is also planning to use the funding to add new integrations to the platform such as more in-depth analytics. 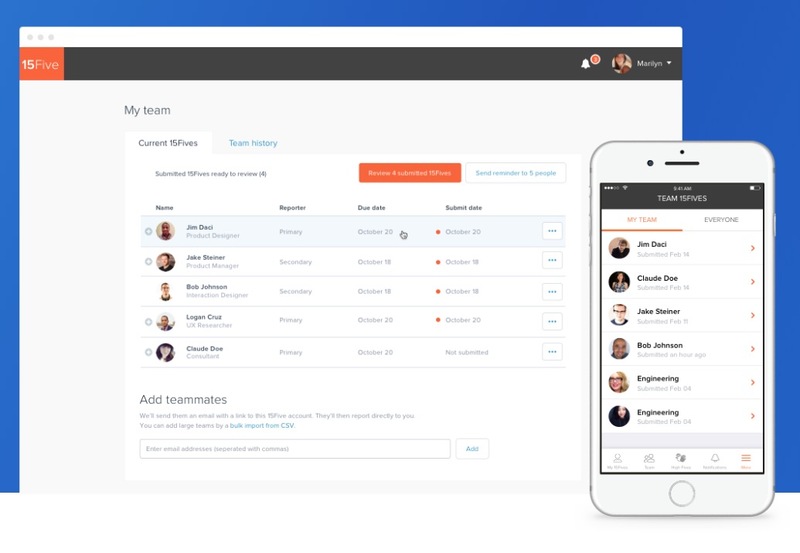 Plus the company will be adding features that enable employees to better track career progression. Some of the best features on 15Five include an Objectives and Key Results tracking system, a weekly check-in function, employee recognition, and 360-degree reviews. And the platform can be integrated with business applications such as BambooHR, Namely, Okta, OneLogin, and Slack. Origin Ventures partner Brent Hill pointed out that 15Five’s product aligns with the expectations of the workforce of today, which leads to higher employee satisfaction and reduced attrition.